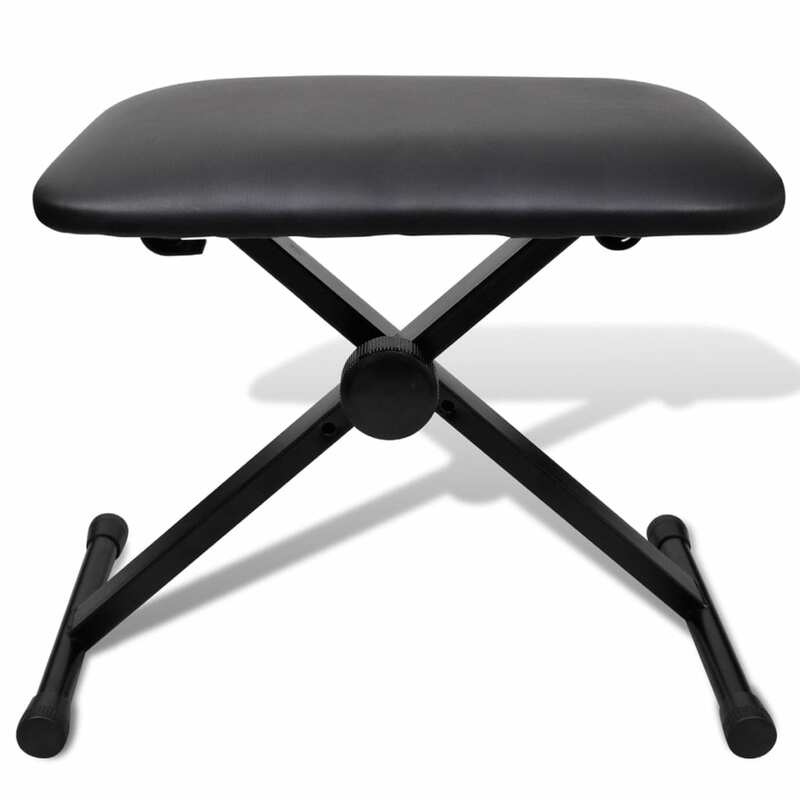 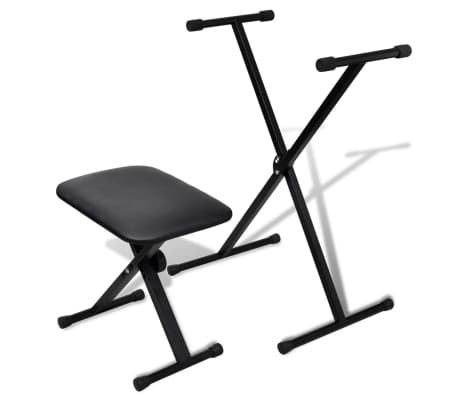 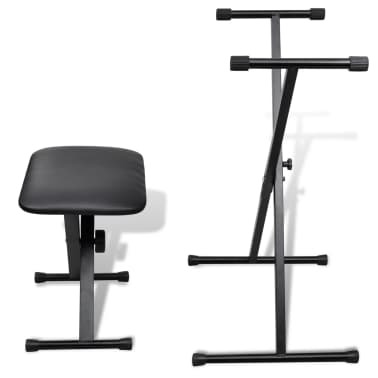 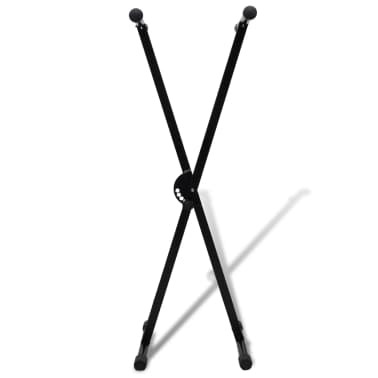 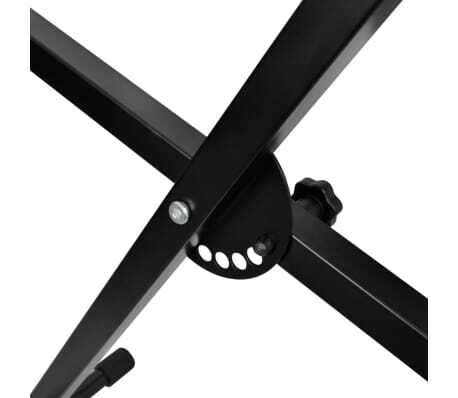 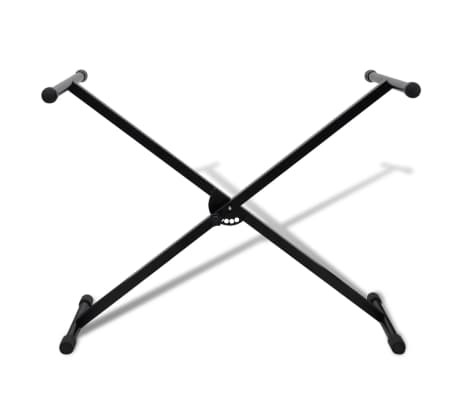 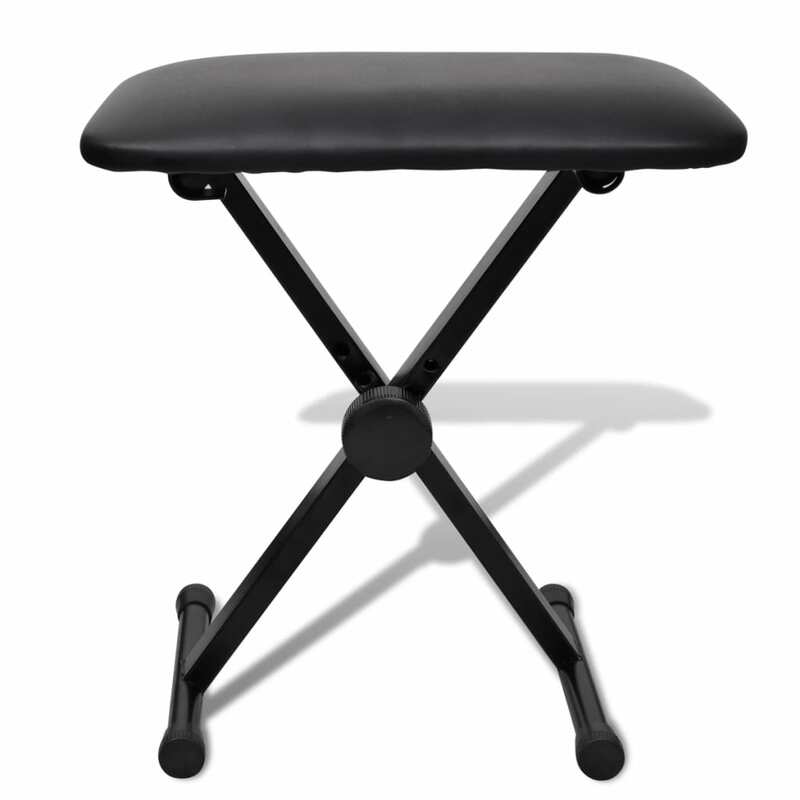 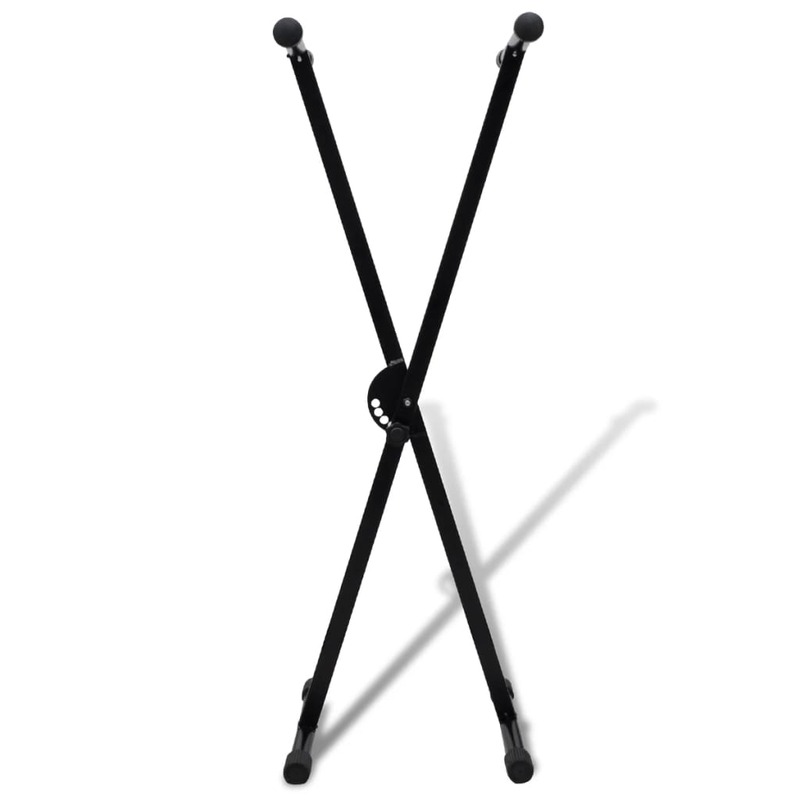 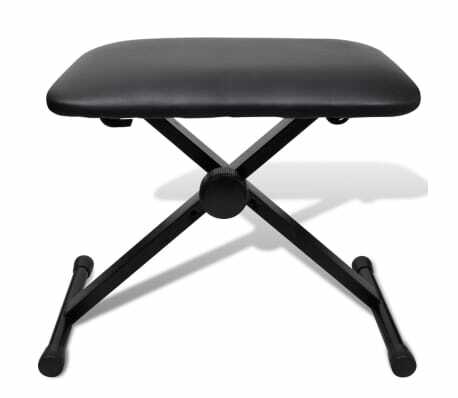 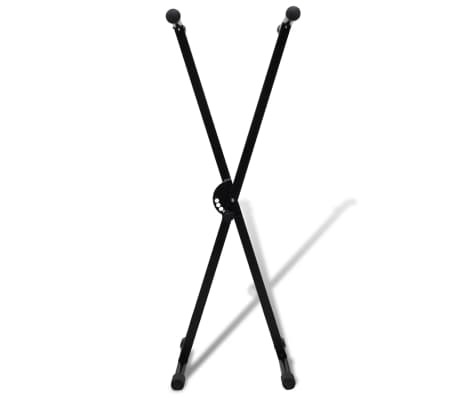 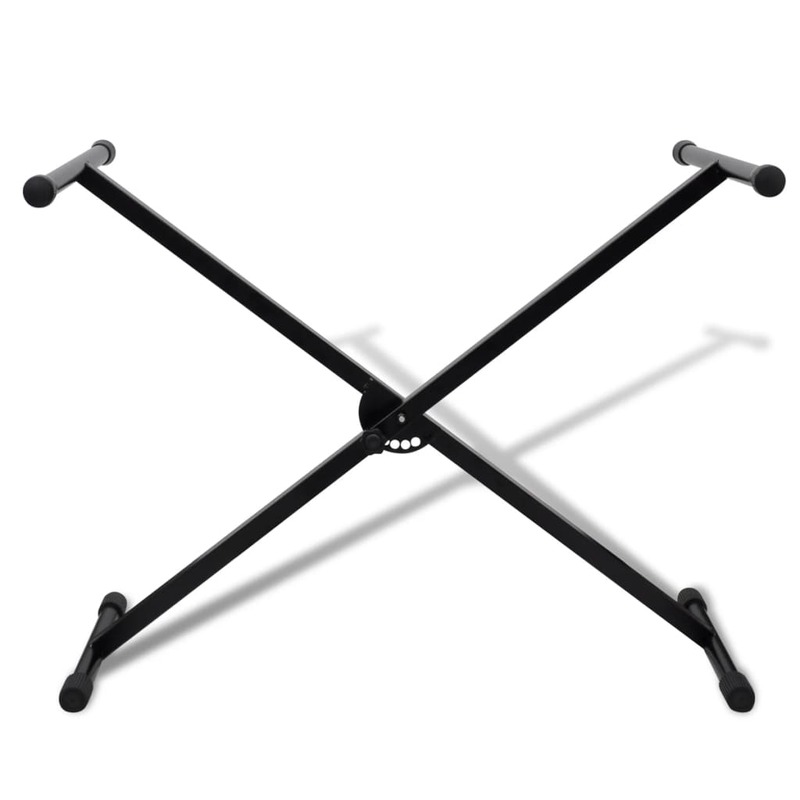 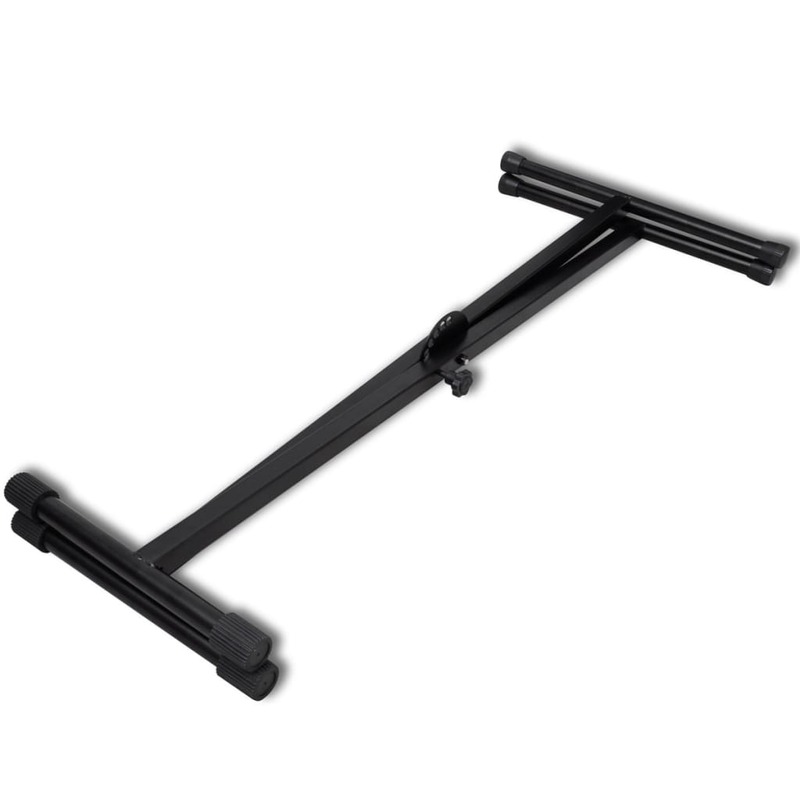 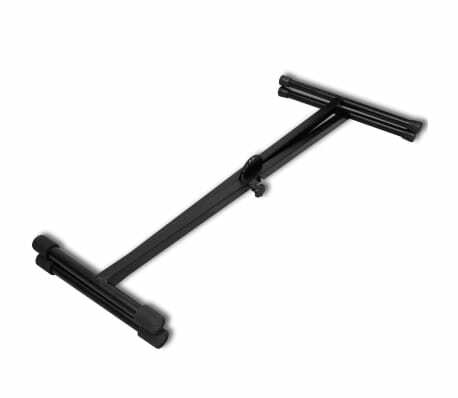 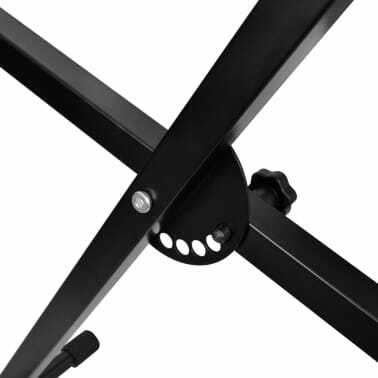 This X-frame single braced keyboard stand and stool, made of rugged steel, are ideal for players, bands, performance teams and other music lovers. 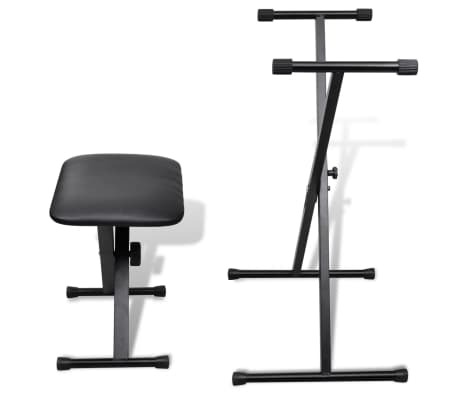 Built with heavy duty tube construction, this set is very duarble for years of use. With several different working heights adjustable, the stand and the stool could be easily set at a desired height with fundamental stability. 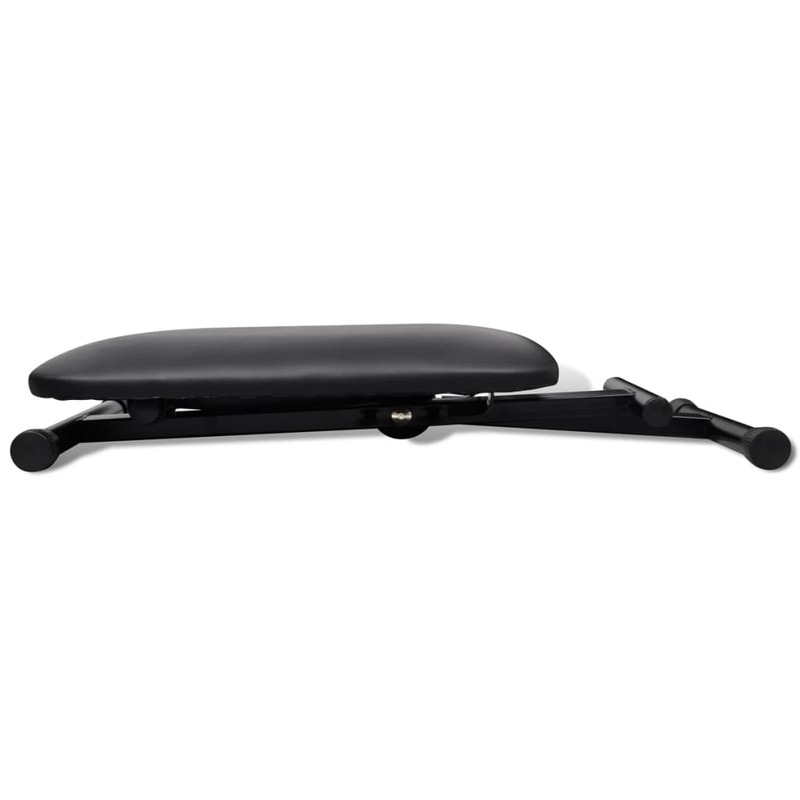 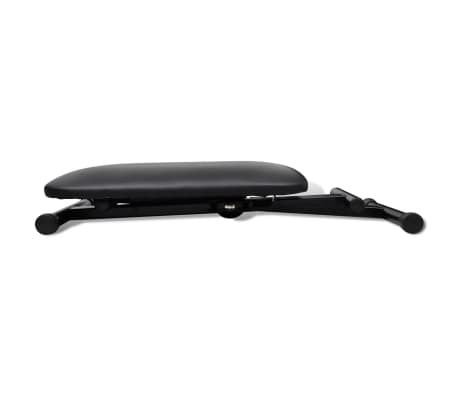 Thanks to the circular locking mechanism, the set is easy to use. 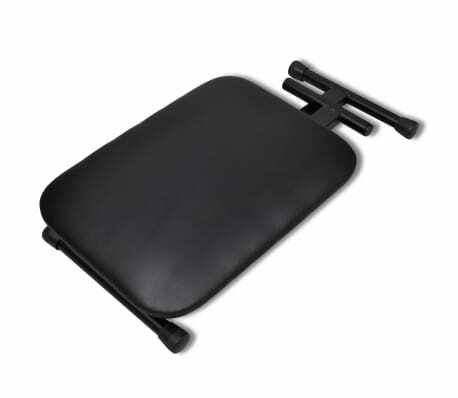 Anti-slip rubber end caps not only protect your floor from scratches, but also provide an added base support. 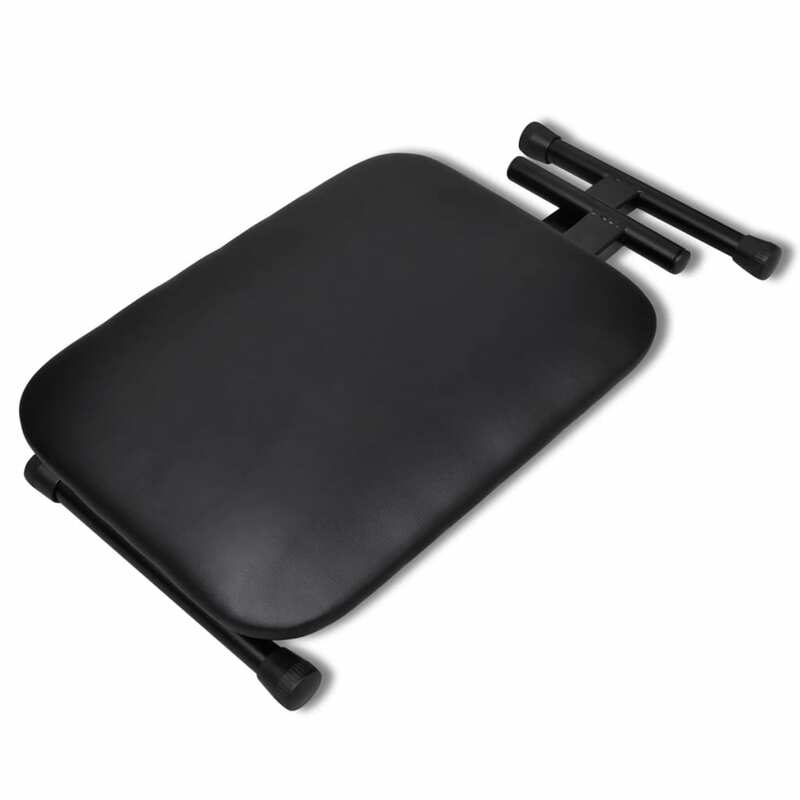 The foldable design brings easy portability and better storage. 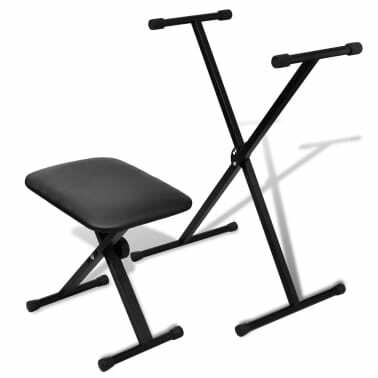 Delivery includes one stand and one stool.